Short for bacteriophage, phage is a virus that attacks a specific strain of bacteria – the ones we are concerned with attack the bacteria contained in your starter culture. The way they work is to inject their DNA into a living cell which then copies itself and the cell bursts releasing a number of phage, which go on to attack other cells. Where the multiplication of the phage is greater than the (good) bacteria in your starter culture, the phage will inhibit the starter culture, resulting in either a low acid cheese – so not very good quality, or a slow vat or a dead vat where you cannot get the TA more than 0.3, which will not give you an edible cheese at all. Phage generally multiplies in whey, so handling and storage of whey is extremely important. They will also feed on curd, so it is so important to ensure that there are no crumbs of curd anywhere – not on equipment or on the floor. With phage we are talking about a virus that prevents or inhibits acid production in your curd which will either slow down your vat (slow vat – early warning signs) or it will halt it altogether (dead vat.) All cheese makers will have a slow vat procedure as a CCP (Critical Control Point) which will outline the procedure of how to deal with this. The most effective way of knowing if you have phage is measuring the titratable acidity (TA). This way, you have a firm and hopefully rising figure for your acidity production. We all have target TA’s when to take whey off, when to cut, when to salt etc. It is when your TA does not rise as expected, there may be a problem and you should follow Slow Vat procedures. You can tell, without having an acidity meter, by experience, because the curd at shovelling/turning stage does not hold together well. Normally at this stage in cheese making, the curd mats together. If it is not, and you ‘feel’ your vat is running slow, this may be phage or a precursor to it. In my somewhat limited experience, I believe there are two signs of having phage: early onset of phage, with slow vat warning signs and then there is full blown phage which is effectively a dead and wasted vat. If you have an acidity meter and your make is running slow after taking off the whey, in other words, during the blocking and subsequent stages, the chances are you may have early onset of phage. First thing, check your sodium hydroxide and your phenol – is it out of date, could it become contaminated…in other words, do all that you can to ensure that your aciditymeter is working correctly. If there is still a doubt and your aciditymeter seems to be fine and the chemicals in it and this happens more than once, and you have slow makes but just about manage to achieve your desired TA, but taking considerably longer than normal, I would treat this as early onset of phage and take remedial action e.g. close the dairy down, do a deep clean and get the whey tested. First thing I would do is to use a different culture strain i.e. rotate to something new. Most culture suppliers offer a rotation which consists of different strains of L lactis. 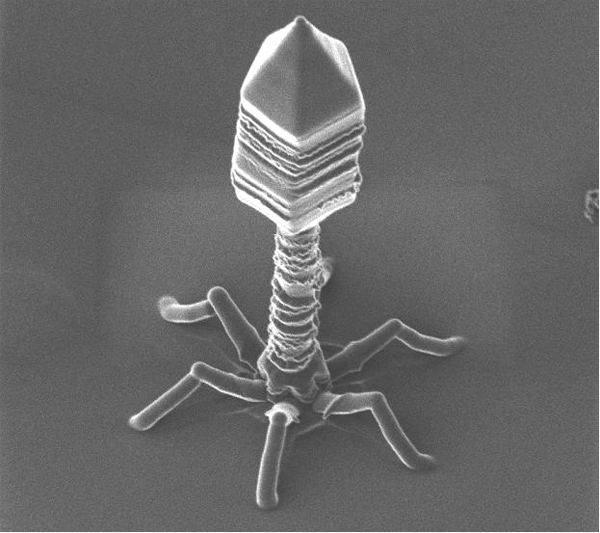 phage that are phage/strain specific. If your TA is over 0.3 but under .47, you will have a low acid cheese, which may just about be edible/savable (depending which end of the TA scale it is at) but it will be a very poor quality cheese. You won’t know until you have taken it out of the press and have tried it. You should also test it for any microbiological problem too and quarantine the finished cheese until either phage or microbiological tests determine the issue. It is also a good idea to increase the salt content, which should offer greater micro protection. If you have been having slow vats and have not done anything about it and your final vat stops at a TA of 0.3, this is a bit of a disaster. If you have any means of disposing of the curd then and there i.e. forget about pressing it, do as it is a waste of time to proceed any further. If you don’t have any means of disposing of curd direct from the vat, then press it and then dispose of it. It won’t be worth trying to see if it is edible, it simply won’t be and that will be a wasted vat. I had a conversation with Val Bines a long time back about phage and she said that a TA of 0.3 was a dead give away for full blown phage. Another phage giveaway is if your TA is slow, you are giving it time and then it falls: treat as phage. Hygiene: phage can only grow when they have a food source, therefore it is essential to regularly hose whey off the floor and remove spilt curd. Regular sanitising of the floor also will help. Limit personnel access from raw milk areas to pasteurised milk. Phage will be present in raw milk but are destroyed by pasteurisation. Do not allow tanker drivers into cheese making areas. Ensure footbaths from raw to pasteurised areas are cleaned and refilled with sanitising solution regularly. If making bulk culture limit entry of personnel to the bulk culture area. Maintain this room in an immaculate condition. Bulk Culture; ensure cultures used in a rotation are not phage related. Have a rotation of either 2 or 3 cultures or groups of cultures that have different phage relationships. Conduct activity tests daily to check if phage is building up, activity tests can detect low levels of phage enabling changes to be made before the acid production is slowed in the vat. Undefined cultures, these mixes have a large range of cultures that may vary slightly from batch to batch, because of the large number if 1 strain is attacked by a phage there is plenty of acid production still available from the other strains. Defined cultures. These contain a smaller number of selected strains which makes them more susceptible to a phage attack; it is recommended that different strains are used in rotation. I would be very interested to hear from other cheese makers about their phage experiences to see if we can all learn more about this very destructive virus. I am battling this right now and it is a nightmare of epic proportions. Thanks for this article. I’m hoping we can pull out of this mess.